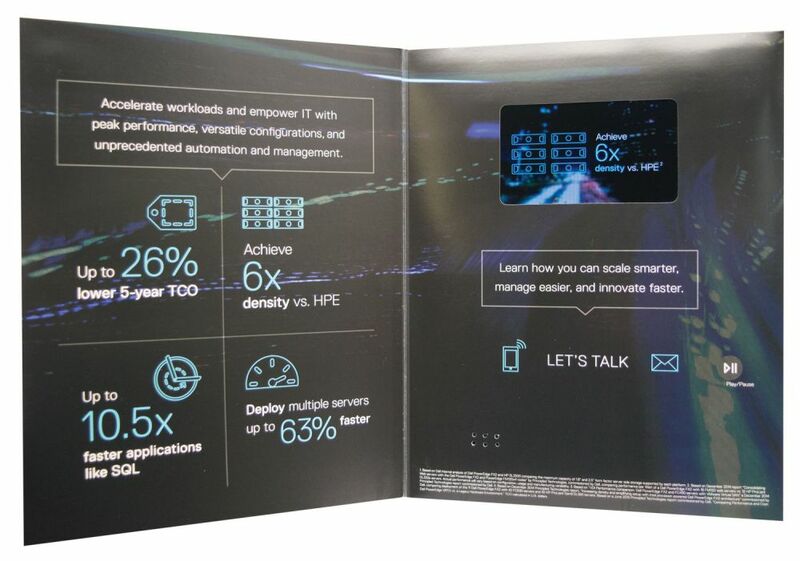 Dell was looking for an innovative branding piece it could use to promote a new product offering built around automation and management solutions. Dell was also looking for a partner to create engaging animation content to tell this story. Americhip worked with Dell to satisfy both of their needs. First, our team created a sleek 4.3” Video Brochure which highlighted the unprecedented results the new product was generating for global brands. To complete the overall branding message, we designed and produced a four-color, corrugated shipper to protect the Video Brochure while in transit and to give notice to every channel partner and customer receiving the package that something special was inside. Beyond the production of the Video Brochure, Americhip’s content team also worked with Dell to create the compelling animation that plays on our patented Video Brochure. The animation shows Dell’s dynamic new product and then tells the story of how its innovative new engineering delivers cutting edge solutions. 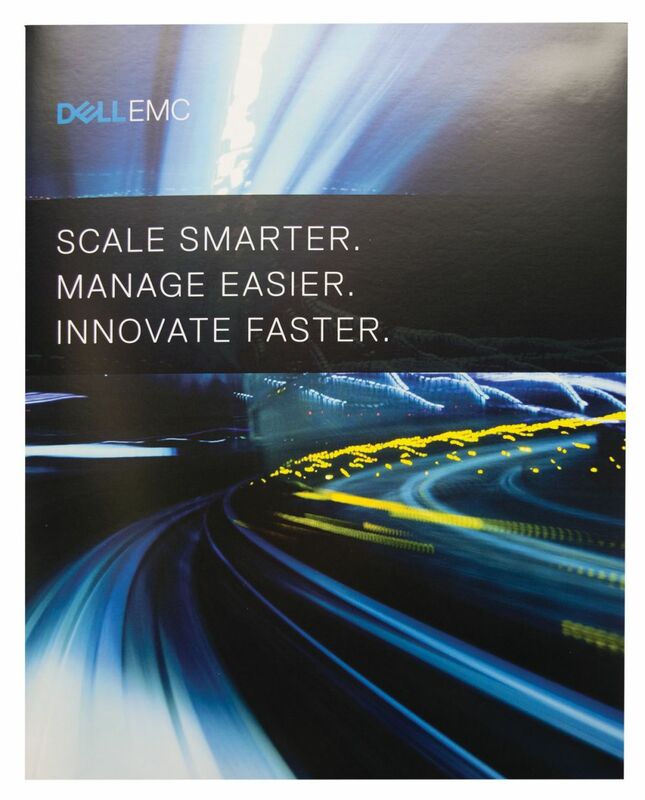 The Video Brochure and compelling animation are a perfect fit for Dell’s innovative new product and the campaign’s tag line: Scale Smarter, Manage Easier, Innovative Faster. For maximum impact, let Americhip create your entire Video in Print experience—from the video or animation content to the video book or brochure to the custom shipper.